With temperatures expecting to be just shy of 30ºC this weekend on the Costa Blanca and Costa Calida, we thought it would be the perfect time to bring you a light, tangy dish that pairs perfectly with a few glasses of wine to enjoy in your garden or sun terrace this weekend. 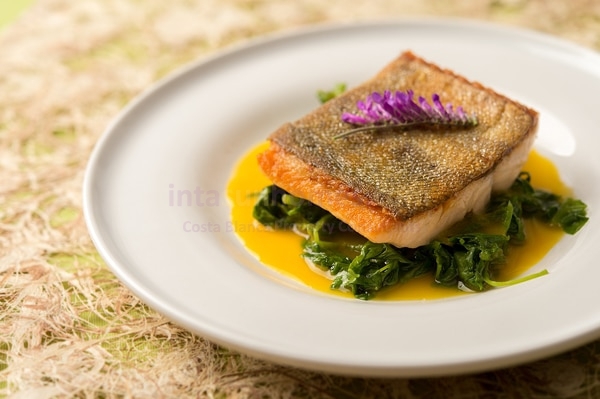 This colourful dish's main ingredient is the fish which for this recipe we are going to use hake however it can be replaces with other white fish for example trout, bass or grouper. Heat the oil in a frying pan and lightly brown the fish on both sides. Remove from the pan with a spatula and place in a heatproof dish. Add the garlic to the oil and fry briefly. When golden, stir in the capers, mint and parsley and crushed chilli pepper (optional) and spread this mixture over the fish. Dissolve the cornflour in the orange and lemon juice, stir in the saffron, and add the liquid to the dish. Cook on a low heat on top of the stove for 10 minutes, shaking the dish gently from time to time. Serve straight from the dish.